Your service is our top priority! At Maritime Car Wash we realize downtime is costly for our customers so we work hard to keep you running. Our 4,800 square foot office/warehouse along with our service and delivery fleet. In July 2014 we moved into our new home, a 4,800-square-foot facility that allows us ample space to stock a full complement of sales and service inventory. We also have a fully equipped training centre as well as a board room where we can host clients in a pleasant and professional setting. 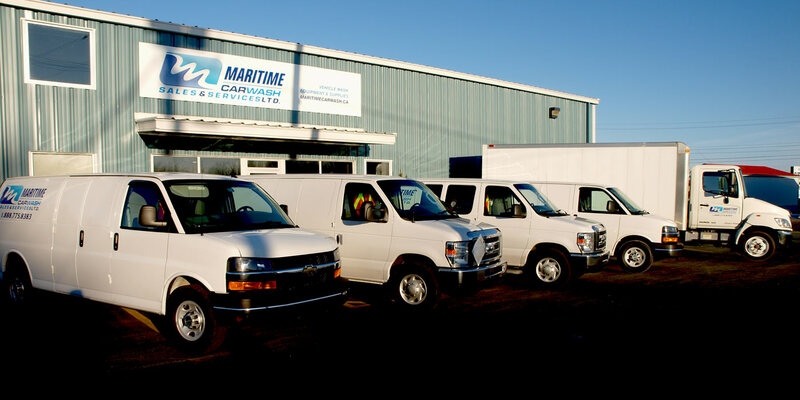 We are conveniently and centrally located in the East Hants Business Park just off Exit 8 on Trans Canada Highway 102 in Elmsdale, about halfway between Halifax and Truro. From installation to upgrades to renovations to servicing existing equipment, we do it all. © Copyright 2019. Maritime Car Wash Sales & Service Ltd. All Rights Reserved. Third-party logos/images are used with permission.